Welcome to the Aiken Chamber Young Professionals!! 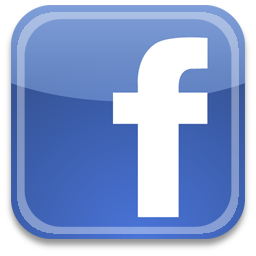 AYP is now more 200 members and growing!! Events on the Horizon include: Bocci Tournament, 5K Run, Polo and more!! AYP Membership Drive/Networking Hour January 17, 2013 at The Cork and Bean! Was your New Year’s resolution to get your career on the right path??? 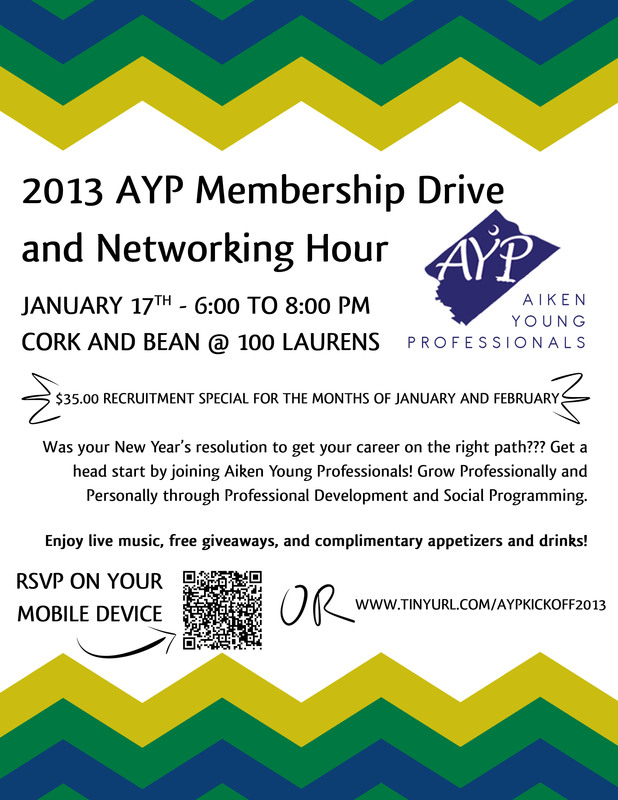 Get a head start by joining Aiken Young Professionals! 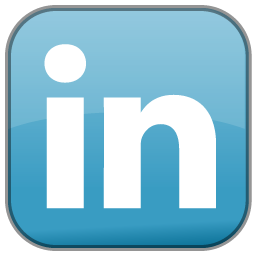 Grow Professionally and Personally through Professional Development and Social Programming. Check us out for free at the first event! Enjoy live music, free give aways and complimentary appetizers and drinks! 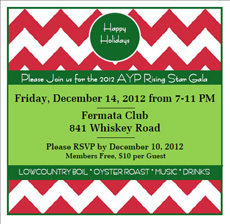 Another event filled year was culminated at the Fermata Club where AYP members enjoyed Oysters and Lowcountry Boil by JC's Seafood at the annual Rising Star Gala. 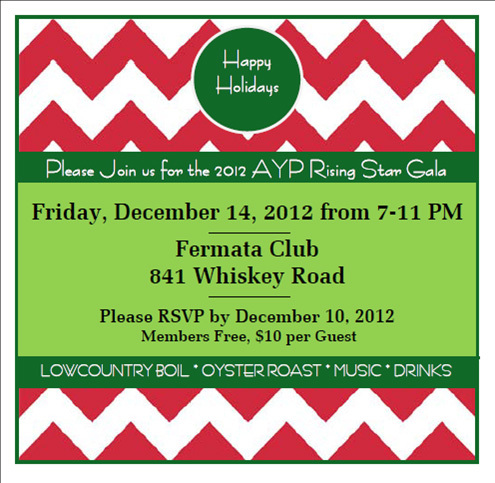 Congratulations to Derrick McLane AYP's 2012 MVP and Mallory Holley Aiken's 2012 Rising Star.! AYP Networking Hour November 29, 2012! AYP member joined up with LEAP (Leaders Emerging among Professionals), SRYGN (Savannah River Young Generation in Nuclear), and USCA Young Alumni Association to have a great time networking upstairs at the Brew Pub in downtown Aiken on Thursday, November 29th, 2012. AYP members mingled with other Aiken professionals at the combined AYP/Aiken Chamber event held at Manpower on Rudy Mason Parkway. 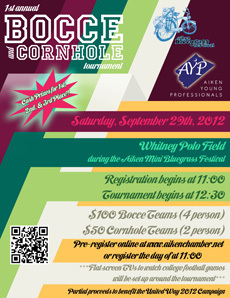 AYP Polo Match October 28, 2-5pm! AYP members enjoyed a gorgeous afternoon in the sun at historic Whitney Polo Field while networking, watching lots of action, and even stomping divots. AYP Lunch 'n Learn Committee--an evening at the Y October 24, 5-7pm! AYP members enjoyed an Ice Cream Social at the Aiken Y on October 24th, while learning about area service organizations that are in need of volunteers. AYP Third Thursday Oktoberfest on October 18th at the Curiosity Shop! AYP members were able to partake in a great beer and wine tasting paired with traditional German delicacies to go along with the Oktoberfest theme at the Curiosity Shop's "Dickens Cafe". I think there were even some Chicken Dancing demonstrations! 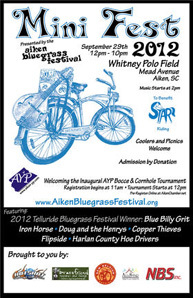 AYP and the Aiken Bluegrass Festival combined forces during this year's Aiken Bluegrass Minifest on September 29th, 2012. The beautiful day was full of fun and festivities. Team Tupac Holograms won 1st place in the inaugaral AYP Bocci Tournament, led by undefeated AYP Chair Josh Booth. Football on the big screen played into the night with the sweet sound of bluegrass in the air by by the 2012 Telluride Bluegrass Festival Winner Blue Billy Grit also featuring Iron Horse, Doug & The Henrys, Copper Thieves, Flipside, and Harlan County Hoe Drivers! We're already looking forward to next year! AYP members enjoyed a beautiful night at The Willcox on September 20th with great food, great drinks, and lots of networking! The Willcox Inn was recently named the #32 Hotel in the world by Travel and Leisure Magazine! 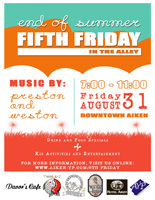 AYP 5th Friday August 31st in The Alley!! AYP held the 3rd 5th Friday event of the year in The Alley on August 31st.. The Alley was groovin' with live music from Preston & Weston, and kids and families enjoyed magic shows by France the Mad Hatter, inflatables, balloon sculptures, face painting, and Xbox 360 video gaming, not to mention the great food and drinks at our sponsoring restaurants! Thanks to the The Aiken Brewing Company, Davor's, Soiree, Takosushi, The Westside Bowery, and the Hotel Aiken for helping to sponsor the event and offering food and drink specials throughout the night. The 5th Friday happening is a community service event that supports AYP's strategic plan. The plan features five steps with a vision that focuses on three areas - networking, community service, and educational events designed to nurture future leaders of the greater Aiken area. This is the second year of the 5th Friday events. AYP had a great time networking with the Young Professionals of Augusta on the Party Pavillion at Lake Olmstead Stadium. And as a plus, the Greenjackets stung the Grasshoppers 2-1! 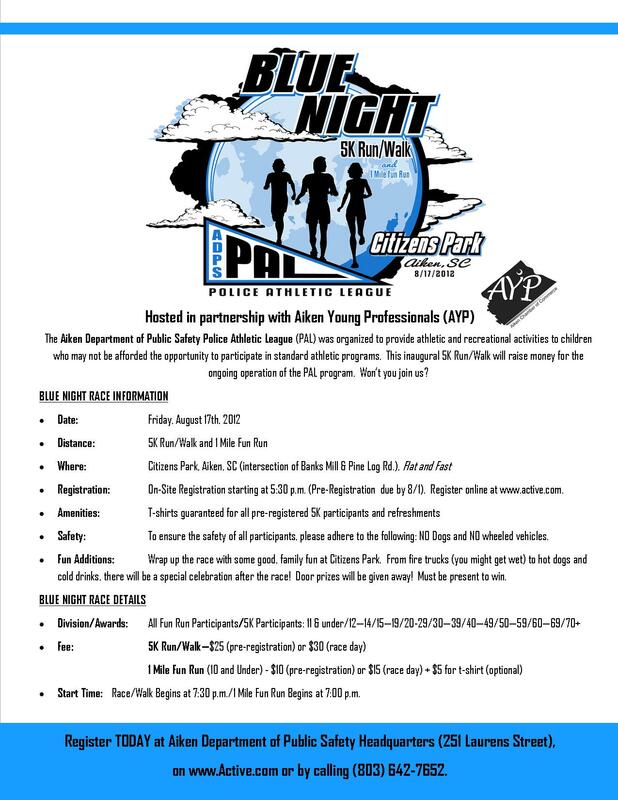 AYP partnered with the ADPS Police Athletic league to host a 5K run/walk for all ages on August 17th at 5:30pm at Citizen's Park. 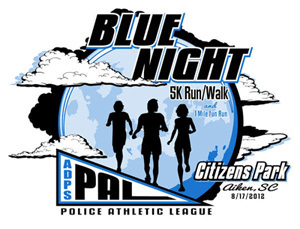 This race benefitted the Police Athletic League. The ADPS Police Athletic League was organized to provide athletic and recreational activities to children who may not qualify for standard programs. 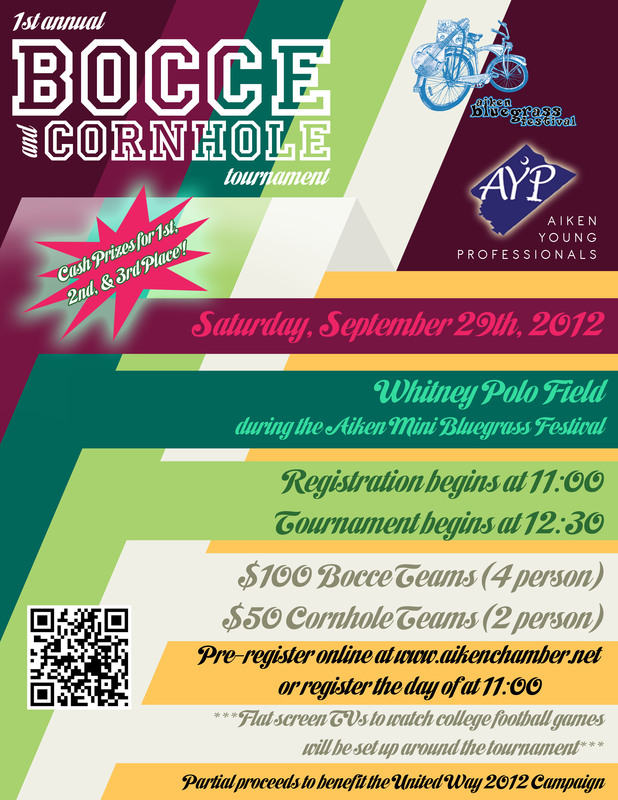 However, all children who live in the community of the City of Aiken are eligible to participate. 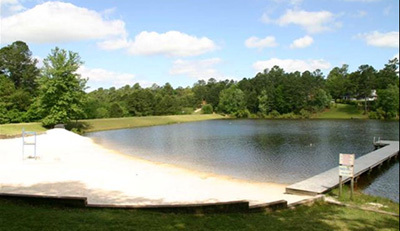 The goal of PAL is to improve the quality of life for children and citizens living in the city of Aiken by reducing idle time, instilling self-discipline, improving self-esteem, promoting school attendance and academic performance, teaching basic life skills and developing better relationships. The Aiken DPS PAL Board is very proud of the fact that 100% of the grant funds and donations received are applied to programs and not administration. Unfortunately, PAL will not receive grant funding this year. This 5k is the first fundraiser to restore funds. AYP members enjoyed networking at another great AYP Third Thursday event on August 16th, 2012 at Woodside Plantation! AYP Members were joined by LEAP (Leaders Emerging Among Professionals from SRNS) on Augusta 4, 2012 at Gem lakes for an afternoon of sun and fun at the Gem Lakes Pavilion! AYP members enjoyed networking at another great AYP Third Thursday event at Limestone College's new Aiken location in Kalmia Plaza! AYP 5th Friday June 29th in The Alley!! AYP members and Aiken residents alike enjoyed a steamy night downtown in The Alley to the tunes of the Palmetto Groove Party Band from 7-11pm on June 29th. Thanks again to the The Aiken Brewing Company, Davor's, Soiree, Takosushi, The Westside Bowery, and the Hotel Aiken for helping to sponsor the event and offering food and drink specials throughout the night. A large crowd of AYP members enjoyed refreshments and networking on the patio at Travinia's. AYP members also donated $112 towards the United Way of Aiken County "School Tools" program at last weeks Third Thursday event. We will continue to collect at all events until the July 27th deadline. Thanks for helping the kids in our community. Our 2nd Quarter Lunch 'n Learn was held at The Green Boundary Club. Members enjoyed a fabulous lunch and learned about the great networking opportunities and membership availabilities at one of Aiken's oldest and prestigious social clubs. Click here for previous events!